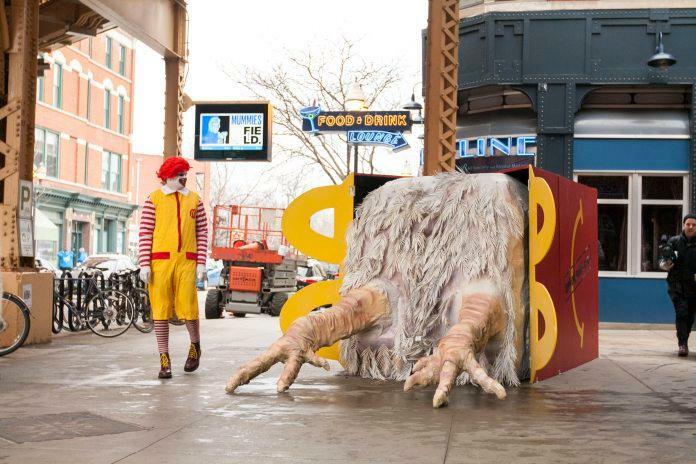 A coalition of animal protection organizations has launched a powerful video ad campaign reaching millions of people in New York City’s Times Square with eye-opening footage of the suffering endured by birds raised for McDonald’s. The powerful 10-second ad, playing at 1500 Broadway Avenue and 43rd Street, builds on the coalition’s on-going campaign that launched via a full-page open letter in The New York Times in March, urging McDonald’s to adopt meaningful animal protection standards that would significantly reduce the suffering of hundreds of millions of chickens raised and slaughtered for its menu items. “Under the golden arches, the golden rule does not apply to birds: Millions of chickens raised for the McDonald’s menu are suffering the crippling effects of unnatural rapid growth and living in filthy, overcrowded conditions,” said Laura Cascada, Director of Corporate Outreach for Compassion Over Killing. The ad will air at least 60 times a day until October 31, 2018, in an attempt to reach as many of the one million estimated Times Square visitors each day as possible. Furthering the wingspan of this hard-hitting campaign, many more people are being reached on social media. The coalition of organizations behind the ad includes Animal Equality, Compassion Over Killing, Compassion In World Farming, The Humane League, Mercy For Animals, and World Animal Protection. Burger King, Subway and other companies have stopped using chickens from inhumane factory farms. Inside these farms, the birds are raised in crowded sheds with little room to move until they’re transported to the slaughterhouse. Unlike all those other companies, fast-food giant McDonald’s continues to support these cruel farms by purchasing their chickens. In a new effort to encourage McDonald’s to join the others that have already switched to chickens raised more humanely, The Humane League and other animal welfare groups have started the “I’m Not Lovin’ It” campaign.